In business, it can be tempting to play things safe, be conservative, and stay within one’s comfort zone - roulette online. But, as telcos have learned in the past several years, those who dare to be courageous are able to smash through barriers to innovation and transformation. Los mejores juegos de casino para ganar dinero! The world’s top operators are doing just that, introducing disruptive sales, marketing and service strategies that improve customer satisfaction, increase the variety of service offerings, improve the speed of service delivery, and overall change the way telcos interact with their customers. With the theme of “Dare More. Be More.”, the upcoming Nexterday North 2017 will celebrate those operators and other businesses that embrace the business culture of courage. Scheduled for 19-21 September 2017 in Helsinki, Finland, our third annual event picks up where Nexterday North 2016 left off, encouraging communications service providers that have already taken steps to implement a digital transformation to go further. We want Nexterday North attendees to walk away from the event not only inspired, but also informed of the actionable steps and solutions they can take to make a difference in their business. We designed Day 1 for the people working day in and out at operator businesses, making change happen from the ground up. The schedule includes many opportunities for you explore solutions to improve customer engagement, service monetisation and the digital service lifecycle. Mark Stevenson – one of the world’s most respected thinkers on technology and societal trends, helping you see where the world is going and how to adapt. Hilary Mason – CEO and Founder of Fast Forward Labs who frequently speaks about the challenges and the rewards of working with big data, with a special focus on machine learning. Adam Alter – a bestselling author who studies how we think, how consumers spend, doctors diagnose, judges punish, and investors invest. Sarah Harrison – of The Courage Foundation, an international organisation that protects whistleblowers and truth tellers. She’s an expert in issues surrounding whistleblowing, freedom of information, surveillance and asylum. Day 3 will include a series of conversations on the digital experience, culminating in two lively debates featuring participants from Accenture, TCS, Salesforce, RedHat, Avanto Ventures and Analysys Mason. The Dare More. Be More. LIVE Digital debate features industry-leading analysts and business transformers, along with their customers, who will debate the two most critical aspects of digital transformation: perfecting the elusive digital experience and how to make it happen. We’ll also host the annual Nexterday fun run, Happy Hour, tasty food provided by Richard McCormick, live entertainment and the Nexterday app allowing you network and meet up with your peers. We’re excited for what’s in store for this year’s Nexterday North, and we can’t wait to see you there! Find out more about Nexterday North, 19-21 September, 2017 in Helsinki, Finland including its agenda and speakers. Register to attend at nexterdaynorth.com. At Comptel, we place a great deal of importance on lending our expertise and partnering with other organisations across the globe to develop the next generation of IT leaders. We have seen great success in our partnership with Saudi Telecom, one of the largest CSPs in the Middle East and Africa, where we worked together to educate and empower the next generation of IT talent in Saudi Arabia through the “Young IT Talent” programme. Over the past several months, we have also been working closely with a group of talented students at the Swinburne University of Technology in Melbourne on our first academic partnership project. These students had the opportunity to contribute directly to a new Comptel SaaS solution for order fallout management. Telco operators, specifically fixed services operators, suffer from a high rate of failing customer orders. Already, 35 percent of orders fail during the initial six months of a new service launch, and as network technologies evolve towards virtualisation, that figure will only continue to rise. When customer orders are not being processed properly, operators are not able to begin generating revenue. The cost of manual labour to determine the cause of these fallouts can be expensive, which is why we created our Automated Fall-Out Management (AFOM) solution to handle this process. Several of our local team members worked directly with Swinburne students to coach them through designing a user interface for AFOM. The solution taps into a CSP’s service orchestration solution and aims to flag and solve customer orders before they are pushed into the order management process. AFOM was developed through our Fastermind AI solution. The goal for these students was to develop a part of a User Interface that was easy to use, intuitive and was a true value-add for customers. The Design Factory Melbourne and the Department of Computer Science and Software Engineering at Swinburne University were the perfect groups to take on this task, as it required actual UI design, as well as advanced software development, which is where Comptel’s team members lent a hand. After a few months of work, the students presented their unique UI designs and impressed the Comptel team with their level of technical understanding and capability, along with their ability to adapt to changes in the process. It was great to hear some very positive feedback from the students as well. Many of them came forward and expressed that it was “very interesting work” and they were proud to have contributed work to “solve a real problem.” Several of them even said they would be interested in continuing the project for Comptel, as they had many more ideas on how to enhance AFOM. While IT innovation is on the rise in Australia, with the Australian Bureau of Statistics reporting that 43 percent of businesses overall introduced one form of innovation, the cooperation between universities and technology companies is still in its infancy stage. Comptel is honoured to do our part in pioneering these types of initiatives in the country and looks forward to working closely with the university in the future. In September, Comptel will host the third Nexterday North event to bring together the brightest minds in telco to spur innovation and explore creative ways to reach Generation Cloud and transform their businesses for the better. 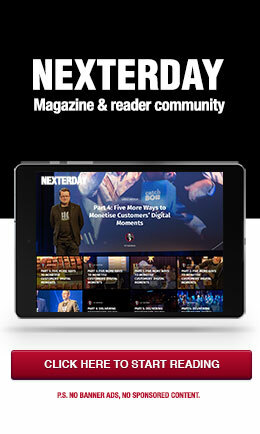 Register for Nexterday North to reserve your exclusive spot. Artificial intelligence has become a hot topic in tech for many reasons, but one of the most important is its ability to improve customer engagement. 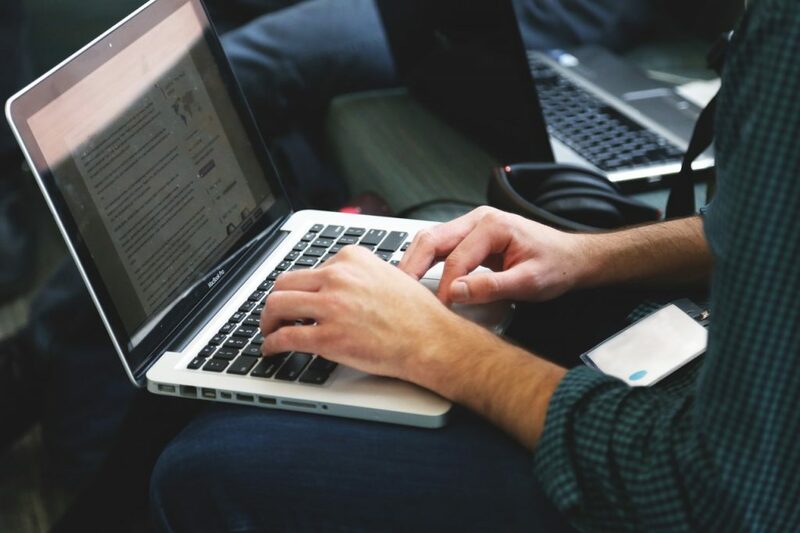 At Comptel, we’ve seen first-hand just how significantly this technology can boost the effectiveness of customer campaigns. Last month, I visited Singapore for CommunicAsia2017, an international conference for the ICT community. There, I shared some of the initial findings from campaigns using our FASTERMIND technology, which brings the power of AI to digital telcos in the form of customer engagement automation. 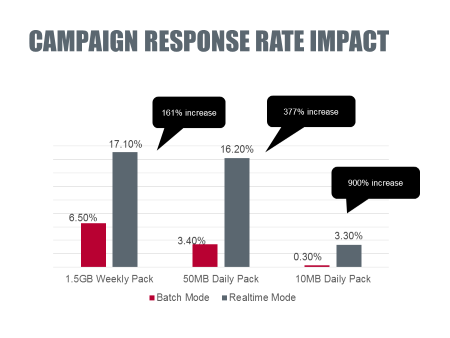 The example I shared compared the impact of using FASTERMIND for automatically triggering contextual marketing offers to customers in real time against traditional batch marketing methods. The comparison included three mobile data packages: one weekly pack for 1.5 gigabytes, a 50MB daily pack, and a 10MB daily pack. Why were the real-time results drastically better? FASTERMIND analyses in-the-moment contextual data about each customer to predict and recommend the best next action for the operator. In the case of mobile data plans, FASTERMIND could be tuned to automatically send specific packages offers only to those customers whose recent or current behaviours, activities, and historical personal preferences seem to indicate a preference for that package. Importantly, the offer is sent in real-time, at the precise moment when that customer’s buying interest is at its peak. As a result, this AI-driven form of real-time marketing is not only more efficient but also more effective than even the most specific segmentation-based batch offer. The two core tenets of AI – its ability to modify behaviour through learning, and then automatically act based on analysis – allows marketers to create campaigns that more closely match what customers want. Our recent research report, The Power of Personal, showed that 55 percent of today’s consumers want to receive personalised service, while 73 percent say the most important quality to good customer service is the feeling that a company values their time. FASTERMIND’s AI-driven engagement satisfies these demands by enabling personal offers only when customers are likely to care about them, limiting disruptive and irrelevant offers. Of course, omnichannel factors into this as well. AI will allow operators to create personal, real-time customer journeys across devices and a retail shop, which matches the omnichannel experiences most consumers already create for themselves. If your customers are already browsing on PCs, buying on tablets, and sharing on mobile, then your interactions with these customers must match their expectations across devices. AI empowers that, letting you orchestrate ideal experiences across multiple touchpoints. Imagine a buyer shopping for a new phone on your website is interrupted and neglects to complete the purchase. Rather than letting that smartphone remain unpurchased in their digital shopping cart, you could send them a push notification the next time they walk by your physical retail location, reminding them to complete the purchase. To stimulate action, you could sweeten the deal with a promotional discount offered with a limited validation time. Ultimately, real-time decisions, based on a bevy of data from different sources, create better experiences from customer acquisition, purchase, upsell, ongoing nurturing and retention. The result? Higher Net Promoter Scores, shorter time-to-market for new services, higher engagement, and much lower total cost of ownership. That’s the crux of the message I shared at CommunicAsia 2017, where I also participated in a panel discussion on the future of IoT in business. Both technologies – AI and IoT – offer tantalizing opportunities to reimagine how telco serves and engages with customers. Comptel is excited to lend our voice to those conversations at this and other important industry events. Learn more about FASTERMIND, AI for digital telcos, on the Comptel website. Follow the customer, not the competitor. That’s the way it should work. However, many operators struggle to find the right service, marketing or monetisation strategies to engage and excite their customers. Customer-centric strategy is now more important than ever, at a time when consumers demand better levels of service, attention and instant gratification from their operators across their whole customer journey. Customers are always on the journey and operators should be able to provide a personalised and consistent customer experience. Comptel is working to help operators solve key customer challenges to improve customer experience at every touch point of their omnichannel journey, and we’ll demonstrate the fruits of our efforts at TM Forum Live! 2017 in Nice, France, 15-18, May 2017. We are proud to once again contribute to two TM Forum Catalysts, which are proof-of-concept initiatives that bring together large and small digital and communications service providers and other ecosystem players to develop innovative solutions for common industry challenges. Both Catalysts provide strategies that help operators meet customer demands and add new revenue opportunities through improved engagement. If you’re in Nice for the event, we encourage you to stop by the Catalyst Theatre to learn about both initiatives. Here’s a preview. Championed by Orange and NTT, this Catalyst also includes Datami, CloudSense and Sigma. Building on the success of our 2016 presentation, we aim to give operators the detailed blueprint they need to turn current sponsored data trials into complete market offerings. Customers love using their mobile data for ecommerce, stream videos and play online games, but they’re afraid to engage in such activities that eat up their data plan. By allowing a third party to pay for data access, sponsored data programs remove the financial barriers that prevent mobile users from engaging. It’s a great incentive to improve customer engagement, build loyalty and drive revenue. The Catalyst on Sponsored Data will take place at 16:30 pm on Monday, May 15 in the Catalyst Theatre. 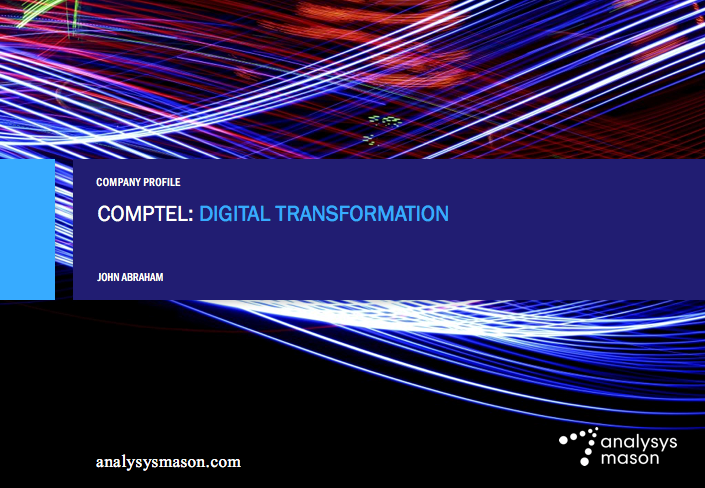 Championed by Orange, Ncell and ArtofArc, Comptel creates predictive customer journeys together with Salesforce, Vlocity, Huawei, Teavaro and Comarch. It’s important for operators to engage with customers at every level and channel of the buying journey, especially those customers who engage self-service shopping. Customer journeys are inherently omnichannel by nature, thus we need better insight into the real-time customers’ digital moments to find the right context to engage. Customers crave this type of service – our recent research survey found 55 percent want more personalised engagements from their mobile carriers. Our Catalyst will provide the blueprint for operators to reach and motivate customers with those personalised, customised offers. The Catalyst on Predictive Customer Journeys will take place at 15:00 pm on Tuesday, May 16 in the Catalyst Theatre. We received so much positive feedback from last year’s Catalysts, and our Sponsored Data partnership was even recognized by TM Forum as the “Most Innovative Catalyst – Commercial Applications in Communications Industry” in its 2016 Catalyst Awards. We hope to make a similarly big impact this year, and look forward to sharing our ideas with guests in Nice. Download a copy of the Comptel research report “The Power of Personal” to learn more about changing consumer attitudes toward personalised services. In today’s omnichannel world, the digital customer journey often begins online or on a mobile device, but is later completed in person, over the phone, or through a different digital channel. In fact, even though most customers start their journey online, 69 percent of customers turn to retail stores to complete their purchase. Telcos have a vast amount of customer data at their fingertips, and yet most digital communication service providers still lack the ability to connect the dots throughout the digital customer journey. To solve this issue, Comptel introduced the Next Best Engagement solution with Salesforce, which will empower the omnichannel customer journey for digital telcos, during this year’s Mobile World Congress. The Next Best Engagement solution is powered by Comptel’s Fastermind, which recommends, predicts and automates real-time decisions for the most suitable actions in a customer’s journey. By combining Fastermind’s applications for digital telcos and the Salesforce Marketing, Sales, Service and Community clouds’ capabilities, the Next Best Engagement solution allows operators to recommend and trigger actions that enable more personalised marketing and sales opportunities and more responsive customer care. There are many major chasms in the digital customer experience that Next Best Engagement can help address. For example, mobile providers struggle to identify customers who are both an individual retail customer, as well as a customer on a business plan through their employer. Similarly, they are also unable to recognise when a customer begins the customer journey online and later calls or enters a brick-and-mortar store to continue that same process. These are major shortcomings for telco service providers, as Generation Cloud customers – whether B2B or B2C – expect personalised, contextual, and seamless experiences across all touchpoints. For example, if a customer walks into a retail store, it’s important for the service provider to know where that individual left off in the journey so that they can offer them a personalised experience and entice them to complete their path to purchase. Next Best Engagement helps improve interactions at each stage in the customer journey, as operators reach customers through multiple sales transactions, product interactions and service engagements. Utilising data from each of these interactions, the solution can provide the real-time intelligence operators need to maximise each touchpoint, fostering long-term loyalty through personalised service. As Comptel’s Power of Personal research found, 55 percent of mobile customers are interested in receiving personalised, proactive service offerings from their mobile provider. However, operators are missing a huge opportunity here, as only 13 percent of customers are actually receiving these offers. Next Best Engagement with Comptel’s Fastermind and Salesforce’s leading customer engagement platforms is able to predict, recommend and automatically trigger full-blown personalised journeys in the Salesforce Marketing Cloud. Not only does this enable operators to offer proactive and personalised experiences consistently, but based on the analysis, it helps target the right customers with the right services, at the right time. Even though customers are open to receiving new offers from mobile providers, if it is not provided in the right time or place, then it will likely be ignored. By combining proactive service offerings with the appropriate context, telcos can acquire new customers and reduce churn with current customers who engage with service providers across multiple channels throughout the digital customer journey. With Next Best Engagement, telcos will ultimately be able to anticipate the fastest and most personal way to offer customers what they need, when they need it, through the most convenient channel for them. Comptel will showcase the Next Best Engagement solution as a part of the “Maximising Engagement with Predictive Customer Journeys” Catalyst with Salesforce at TMForum Live! in Nice on May 15-18, 2017. Book a meeting with Comptel at TMForum Live! by emailing [email protected]. The concept of digital transformation can be massive… or it can stem from something much smaller. In digital transformation, there’s a mantra of simplify then transform. That makes perfect sense, in alignment with, “The chess-board analogy,” but often overlooked. But there’s another simplification perspective to take. Let’s take the 6 blind men and the elephant parable into consideration. Each of the six blind men gets a different perception of what they’re interacting with. In the world of OSS, the blind men are like the 6 (or more) different departments – operations, business, IT, sales, marketing, executive, etc. 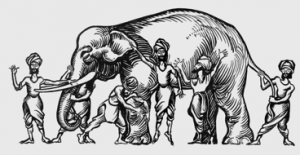 Each interacts with the OSS elephant and each has a different experience with it. The MVP (Minimum Viable Product) or sand-pit environment is one great strategy to building momentum in large organisations. Identify something small that is at the heart of the solution – a place where all parties interact and get their chance to touch the new elephant. Then build something at that central point that presents something that’s encouraging / enticing to all who interact with it. For a start, the cloud represents an environment that isn’t “owned” by any of the business units and isn’t bound up in all the security or other checks that slow delivery down. Secondly, with an MVP ensure you’re touching simulated components inside the cloud rather than exposed components inside the business (think “the implications of a handshake“). Thirdly, make it a sand-pit – segregated from production (and potentially from each of the six blind men) then encourage interactive play. How to get No 1 in Google Play in three days? Posted: April 18th, 2017 | Author: Harry Järn | Filed under: Compelling Cases, Uncategorized | Tags: 2degrees, FWD | Comments Off on How to get No 1 in Google Play in three days? Getting an app to the top of the rankings doesn’t obviously happen over the weekend. We at Comptel FWD have been working on the Digital Sales Channel, aka FWD, solution for more than two years, building, fine tuning & improving especially the UX we have always felt is & will be the key to success. I will not go through the whole process from the early design principles of the FWD to the fine tunings together with 2degrees, but rather focus on what made the difference for 2degrees to get their Data Clock app (powered by FWD) to number one spot literally over the weekend in New Zealand. Whatever is offered, needs to add value to the consumers. In case of the Data Clock (FWD), the pricing needs to be well thought so that it makes sense for the consumers. And the range of packets offered needs to be good enough. Not necessarily from minutes to months already at the launch, but extensive enough so that users can find what they need. Data Clock pricing was carefully though over and the immediate feedback from new users was strongly supporting this. Also the time based packets offered in Data Clock covered from minutes to up to a day, so that users were able to find proper offer for their various needs. It was extensive enough for people to get interested, install the app & register as users. We have also seen in all our cases that a proper free welcome packet makes a huge difference. It makes the first (and most difficult) purchase transaction easy & risk free for the consumers. Thus making the subsequent purchases easier. Data Clock offered 24 hour free welcome packet, something not seen before in the NZ markets. One of FWD’s key functionalities is dynamic pricing. Operator may create happy hours, special discounts in minutes. And make them live immediately. That is something 2degrees did already at day 1, same day as they had Data Clock market launch. Happy hours are a great way to surprise users positively, get them curious about the service and to tell about the service further to their own networks. Positive surprises lead to viral effect. 2degrees have also used the capability of the system to show their customers they care in the case of major events. Shortly after launch NZ was hit with Cyclone Cook, 2degrees sent a poke to the base of data users “Take care out there” with a free 1 hour data packet. The company believes as the base grows, this will be an important social marketing tool, which can also let the company help those in need in times of natural disasters e.g. earthquakes etc. Any launch needs to be supported by proper campaigns & visibility in different channels. We have seen from one case to another that driving app downloads & registrations the good old SMS is still very effective tool. But SMS campaigns need to be supported by proper materials e.g. in homepage, tutorials, FAQ etc. That is exactly how 2degrees did it. Daily SMS campaigns, supported by a growing visibility in different media: web site, banner ads, TVC, Youtube, Facebook, POS, you name it. As we are talking about a new service provided by a telco, the importance of an appropriate organization providing & delivering the service cannot be stressed too much. Early on, the program needs an advocate who is connected well in the organisation to engender high level (C level and reports) engagement. This engagement will lead to faster results and drives a level of focus on the organisation to succeed, and to break away from traditional slow telco models that can inhibit growth. Telco organizations have been created to provide, well, telco services. Typically the processes take their time, days, weeks, even months. With FWD the requirements for the supporting organization changes dramatically: creating a new offer or a new campaign in the solution takes only minutes. If the organization is not able to facilitate this kind of “internet speed”, the solution is not used according to its potential. Which will be immediately seen as lower service uptake. In 2degrees case, they realized early on in the process that their current organization doesn’t properly facilitate FWD. So they created a flat virtual organization, where they have dedicated resources from relevant teams: Product, Finance, Comms, IT, Care & Sales. This made it possible for 2degrees to utilize the new features of FWD already from the beginning. As an example, first pokes/dynamic pricing campaigns were launched at the same time with the market launch as described above. Last but not least: there is clearly high demand and opportunity in the markets for new operator service & pricing models. The Kingdom of Saudi Arabia has set itself on a future-looking transformational journey for its people, the country and the region. Aiming to leverage itself as an investment power, backed up by a healthy portfolio of rich natural resources, the Kingdom will be a driver to connect African, Asian and European trade. In 2016, Dr. Tarig M Enaya, Senior Vice President of the STC Enterprise Business Unit, was interviewed by a leading Middle East technology reporter at ITP.net. In that discussion, Dr. Enaya explained the role that Saudi Telecom Co. will play in Vision 2030. “Digitisation is at the core of Vision 2030, essentially meaning we have a key enabling role to play,” he said. 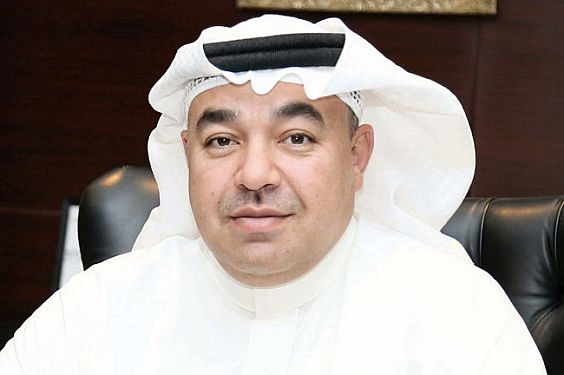 “We own and operate the largest fixed and mobile networks in the Kingdom, meaning we can connect almost any populated location in the Kingdom. We have a 147,000km-long fibre optic network tying major cities together, interconnected with metro rings, and reaching smaller towns and villages. We patch cover some areas with microwave and other technologies. Our mobile network covers 96% of populated areas, with 85% of all populated areas having LTE 4G network coverage. “More important for Vision 2030 is the integration between ICT services and how integrated services and solutions are delivered and supported,” he continued. “To accelerate the growth of any service, you need good business practices and flawless business automation, a variety of different systems from different government agencies need to be interconnected together, and most important systems have to have very strict SLAs and high up-times. “For us, Vision 2030 means we will continue to do what we have been doing since we merged the operations between our three business-to-business entities, the STC enterprise business unit, STC Solutions, and Bravo, but we will have to work harder and much faster. The Future of Digital Technology Exhibition 2017 (FUDEX) was inaugurated by the Minister of Communications and Information Technology, Dr. Mohammed I. Al-Suwaiyel and organised by Saudi Telecom alongside major international companies in the ICT sector. The event (aligning itself to the KSA Vision 2030) took place 28th-29th March at the King Abdullah Petroleum Studies and Research Center (KAPSARC) in Riyadh. Its focus was to introduce the latest network/IT technology through an exhibition and workshops to the various departments of STC and the industry. The exhibition was representative of today’s traditional telco thinking with a clear demarcation of network suppliers versus IT vendors. The network suppliers generally promoted around the key telco themes of 2016/17 – 5G, IoT and virtualisation, each being eager to promote their own proprietary solutions. The IT vendors focused specifically around application and data security, plus the enterprise deployment of IT applications in the cloud. The only obvious vendor-agnostic supplier of OSS/BSS offerings for telco services was Finnish independent software vendor Comptel. The one observation that emerged from being part of and studying the expo was a distinct lack of network and IT convergence perspectives. The network vendors were discussing their own particular flavours of infrastructure cloud commoditisation, and the replication of traditional network features as virtual network functions (VNF). There was little attention paid by these suppliers to actual commercialisation of NFV services and the evolved processes needed. The IT vendors, on the other hand, demonstrated little to no appreciation that the CIO’s role is due a considerable responsibility upgrade as the network moves to a data centre model. No doubt this will be a focus for STC in the coming year and next year’s FUDEX will likely represent the convergence more strongly. Along with a huge entourage, the exhibitors and attendees were treated to an Executive VIP visit from Minister of Communications and Information Technology Dr. Mohammed I. Al-Suwaiyel , STC Group CEO Dr. Khaled Hussain Biyari, and STC Technology & Operations SVP Nasser Sulaiman Al Nasser. The executives familiarised themselves with many of the exhibiting vendors being suitably impressed with the future technology and solutions being promoted to assist STC to address the challenges of the KSA Vision 2030. 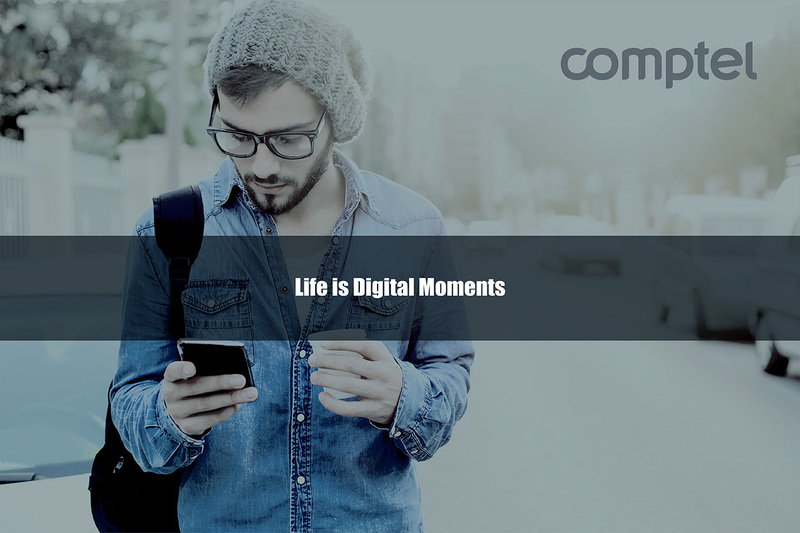 Since 2015, Comptel has been championing the vision of “Perfecting Digital Moments” alongside its thought-leading NEXTERDAY concept, which encourages the telecommunications industry to “Think Again, Think Ahead and Think Across” vertical industries. The concept aligned very well with the visionary objectives of KSA Vision 2030, especially around digital transformation and empowerment of its people through technology. During the event, Comptel were promoting two Digital Journeys that telcos around the world are currently addressing. The “Digital Customer Journey” presents solutions to map out contextual engagement, service personalisation and customer experience to help the telco CMO transform and connect with valuable subscribers and consumers. The “Digital Service Journey” lays down a realistic approach to addressing the evolution of telco network services and IT/OSS. It considers the modernisation of telco operational processes and roles, the introduction of early-stage hybrid virtualisation technology, plus the move to full scale Digital Service Lifecycle Management™ for future-state NFV-enabled networks. This was the topic of the keynote workshop delivered by Comptel to an impressive audience from across STC attendees. In addition, Comptel and STC announced a second initiative to nurture and develop young talent within Saudi Arabia. The first initiative in 2014 took a number of talented young STC IT professionals to various locations around the globe, educating them on the broader business and technology topics from the telecommunications industry. 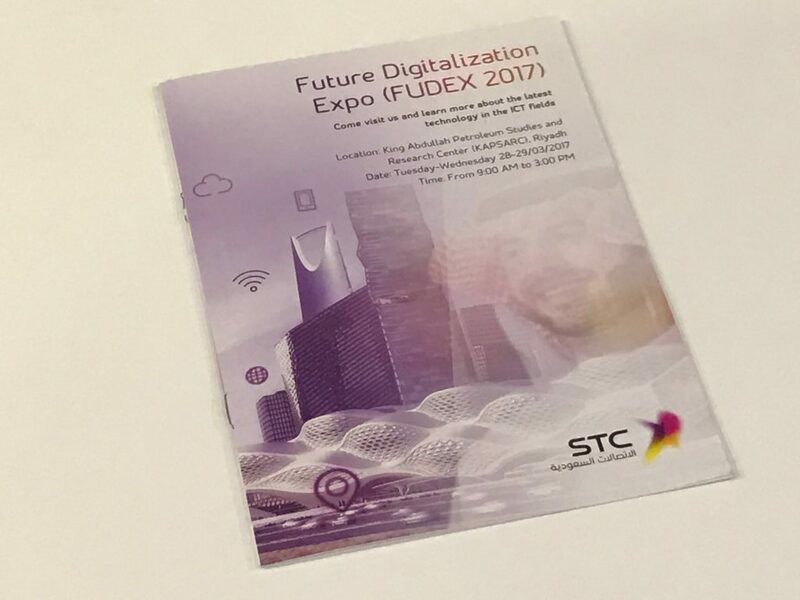 In 2017, STC and Comptel announced the “Hunt-a-Shark” initiative and signed a joint memorandum-of-understanding at FUDEX. At the very heart of Vision 2030 lies innovation, youth enablement, cost optimisation and economic growth through new revenue sources. The “Hunt a Shark” contest is aiming to unlock these objectives by inviting university students from Riyadh to share their ideas about emerging digital platforms and artificial intelligence-driven economies. Finalists will compete to secure – or ‘hunt’ – seed funding, training and mentorship to support their ideas, based on business rationale, uniqueness, viability, relevancy and alignment of their idea with Vision 2030. The Kingdom of Saudi Arabia are embarking on an exciting path with Vision 2030. They have the resources, the people and the ambition to get there and Saudi Telecom with its industry-leading partners will clearly play an important role to make the vision a reality. Unfortunately, unlucky incidents happen. To limit the consequences, we can insure ourselves against those incidents. But, once we file a claim, it can take time for an insurance company to process it and determine compensation. Imagine if, instead, you’d submit your claim – about a broken windscreen or stolen camera or water damage caused by your dishwasher – and receive an instant claim decision. Of course, that’s generally not how it works now. Many consumers have had to deal with insurance companies after a sudden and unfortunate incident, and most probably would not describe their experience as smooth, fulfilling or gratifying. In reality, the quality of service offered by most insurance companies does not match the expectations of today’s cloud generation customers. Consumers want everything they do – from shopping online, to upgrading a phone plan, to mobile banking – to be an easy, fast and frictionless process. That also applies to insurance claims. The existing insurance claim handling process is out-dated: half-digital, half-automated, labour-intensive and bureaucratic. A halfway approach serves neither the policyholder nor the insurer, and the result is slow and expensive claims processing with delayed compensation decisions. An ideal process delivers instant gratification. When a policyholder submits an insurance claim, that action should trigger a real-time and automated claims decision, with the outcome immediately communicated back to the policyholder. As a result, today’s digitally savvy and mobile-first policyholders benefit from swift claims handling, communication and compensation, leading to instant gratification. So, how can insurance companies offer that type of experience? Just like we’ve seen with operators in the telecommunications industry, insurers are on a journey to become digital service providers. They’re looking for new strategies and technologies that can help them better serve demanding digital customers. According to McKinsey & Company, one U.S. insurer expects 40 percent of its new business in the next 3-5 years to come through online and mobile channels – an indicator that insurance companies at large need to be more in tune with digital experiences. By fast-tracking and automating claim decision-making, communication and compensation, insurance companies can take a major step toward digital transformation – and toward becoming true digital insurers. With a long history of turning data into instant, impactful actions, Comptel is an ideal partner for the insurance industry in this journey. For decades, we’ve integrated, processed, analysed data and turned it into business value, and we are very familiar with operating in a complex and highly demanding information and communications technology environment. Now, we’re doing for insurance companies what we’ve done for telcos: taking all the benefits of intelligent fast data and turning insight into immediate gratification. The result is our advanced automatic claims decision solution for insurers. Backed by the advanced analytics of our FASTERMINDTM and artificial intelligence applications, as well as DATA REFINERY’s enterprise data processing, the Comptel solution turn claims and compensation into an agile, automated, real-time workflow. The solution uniquely integrates automated decisions with business rules, anomaly detection and fraud prediction, to help insurance companies identify which claims can be automatically processed and which should be handled manually. Comptel’s automatic claim decision solution is the first step toward a Nexterday vision for insurance, one in which insurers are fully digital, able to offer individualised customer example and able to run a smarter, more optimised business. Book a demo with our team today to learn how Comptel’s insurance solutions enhance the claims process through artificial intelligence and instant decision-making.